Looking for shelving for the laundry room? Or perhaps a small panel for a table top on the back deck? 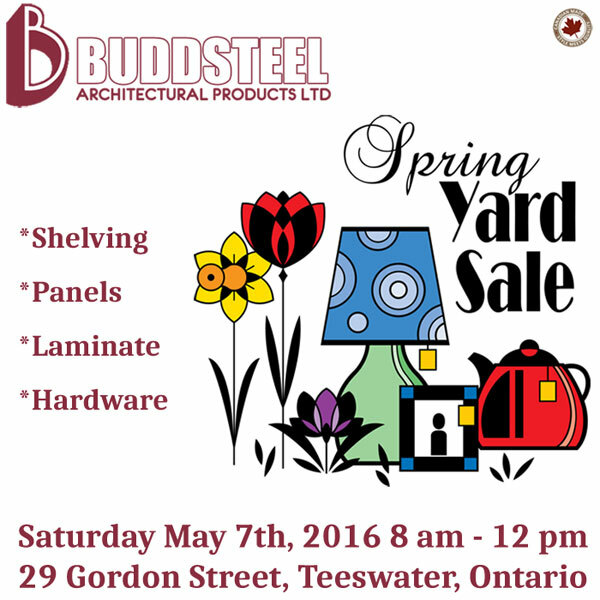 Saturday, May 7th, from 8 am – 12 pm drop into Buddsteel on Gordon Street (next to the municipal office) and check out a selection of shelving, panels, laminate and hardware (coat hooks etc. ).